Derek Livernois' mother Sue put into words to The Orlando Sentinel what her son was feeling after signing with the Red Sox in 1985. "It's every young baseball player's dream to play professional baseball,'' Sue Livernois told The Sentinel. ''This is what he wants to do. I'm glad to see him get paid for something he loves so much." Livernois went on to get paid to do what he loved for nine professional seasons. But he never went on to get paid to do it in the majors. Livernois signed with the Red Sox that year having been taken by Boston in the 15th round, out of Lyman High School in Florida. At Lyman, in April 1985, Livernois' coach Bob McCullough encourage Livernois to develop his breaking ball, over his fastball, The Sentinel wrote. Livernois, though, still looked to his fastball. "It's a matter of confidence," Livernois told The Sentinel. "I like to throw that cut fastball. It works for me." 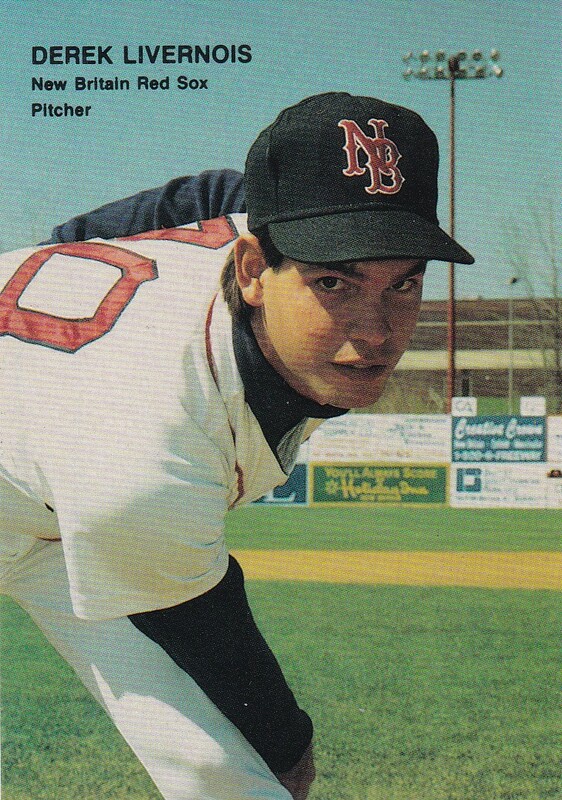 With the Red Sox, Livernois started at short-season Elmira, posting an ERA of 3.83 in 47 innings. He moved to single-A Greensboro in 1986, going 12-7 in 25 starts, with a 2.65 ERA. For 1987, Livernois arrived at single-A Winter Haven, posting an ERA of 4.92. In an April game, Livernois gave up two unearned runs early, then not another. The early runs were helped by a couple of walks. "I was all out of breath for some reason, and I couldn't seem to settle down," Livernois told The Lakeland Ledger after that game. "I credit Lee Stange, our pitching coach, for helping me out. He kind of settled me down." Livernois first made AA in 1990, at New Britain. He also made at least one Red Sox top prospects list. He also missed two months of the season with a broken kneecap. Livernois returned for 1991, but a shoulder injury helped limit his time 10 games between New Britain and AAA Pawtucket. Livernois played two more seasons. He split 1992 between New Britain and Pawtucket. Going into 1993, he was seen as a long shot to make Boston. He never made it, playing the year back at Pawtucket, ending his career.